The high purity industry includes the pharmaceutical and cosmetic industries, the food-processing industry, the semi-conductor industry, biotechnologies, etc. 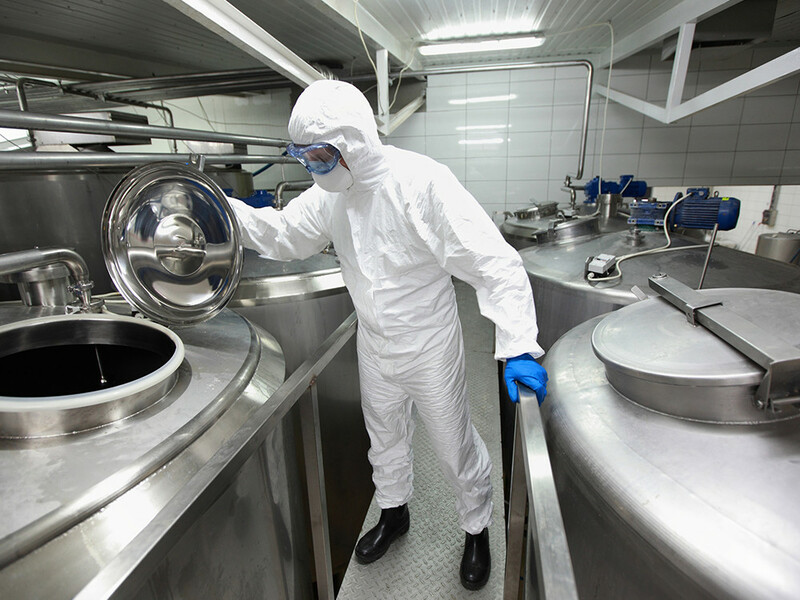 For the most part, these industries carry out their production process work in clean rooms, where parameters such as temperature, moisture and relative pressure are kept at precise levels. In addition, close attention is paid to particle concentrations. SERCO equipment enables production or maintenance operations to be completed with the creation of a minimum amount of particulates with its machining operations. Chips created by machining are easy to collect and no particles are released into the environment. The SERCO equipment dedicated to high purity industries is equipped with external clamping systems for pipes to avoid contaminating the insides of any piping to be machined. Moreover the clamping process on the outside of the piping is done using devices that can be made in the same material as the pipe (stainless steel, aluminum, etc.). This type of clamping provides perfectly concentric fixtures without causing the slightest deformation on the parts to be machined. They can be used on electro-polished components and provide perfectly concentric clamping. They cause no deformation and result in perfectly perpendicular surfaces.